Where do animals live? Do ants live in hives? Do bees live in underground tunnels? Do polar bears live in the desert? Can you match the animal to its home? Bee – beehive, bat – cave, penguin – iceberg and much more. 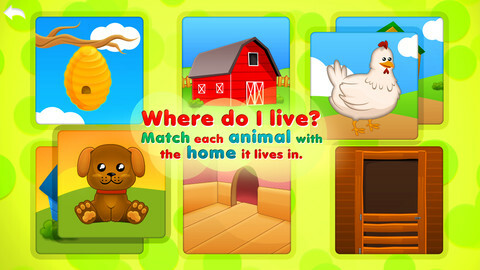 Children can match each animal with the home it lives in. Which animals go together? 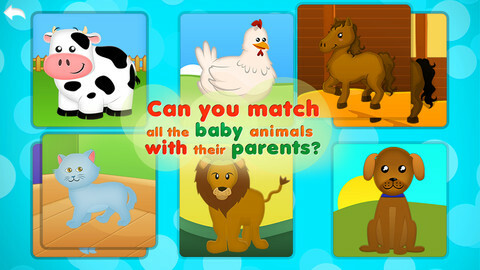 Can you match all babies with their parent? Cub – lion, Puppy – dog, Elephant – Elephant calf and much more. Each Animal Babies and Homes has their name played in English and Hebrew so that children can learn what they’re called, build their animals vocabulary, and start to develop word and picture association. 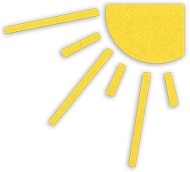 Children delight in spotting familiar animal friends and learning about their different homes; a doghouse, a birdhouse, a mouse hole or a goldfish bowl and babies; bird chicks, cow calf’s, owlet, baby giraffe. These colorful puzzles of Animals Babies and Homes is a challenging and enjoyable game that will develop your child’s ability to visual recall and build up his/ her English and Hebrew vocabulary. Kids match the pieces correctly on the puzzle to hear the word of an animal and it’s match (home \ mother) duck – pond, owlet – owl, horse – stable, tadpole – frog, cub – lion, camel – desert and much more! 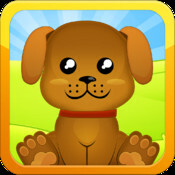 Animals Babies and Homes is an eye and ear catching puzzle enhances matching and listening skills. Let your toddler play with it, while enriching their language skills, developing their fine motor skills, and learning names of numerous objects.